ThIs GiRl CaN LoVe !i!i! 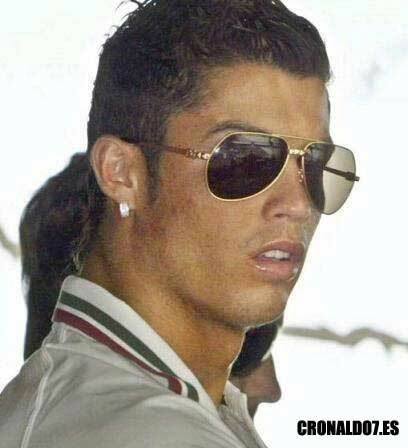 Personal information: Full name---Cristiano Ronaldo dos Santos Aveiro (pronounced [kɾɨʃˈtiɐnu ʁuˈnaɫdu]). Date of birth---February 5, 1985 (age 23) Place of birth---Funchal, Madeira, Portugal Height---1.85 m (6 ft 1 in) Playing position---Winger Current club---Manchester United Number---"7"
BIOGRAPHY: Cristiano Ronaldo dos Santos Aveiro was born to Maria Dolores dos Santos Aveiro and Jos 0044inis Aveiro. The second given name, "Ronaldo," was chosen after Ronald Reagan, his father's favourite actor and U.S. president at the time. He has one older brother, Hugo (b. 1975), and two older sisters, Elma (b. 1974) and Liliana Ct0069a (b. Madeira, 5 October 1976). Liliana Ct0069a works as a singer by the stage name "Ronalda" in Portugal. Ronaldo began kicking a football when he was three, and when he started primary school at age six, his passion for the sport was obvious. His favourite boyhood team was SL Benfica even though he would later join their rival, Sporting. He first played for an amateur team, Andorinha, where his father was the kit man, when he was just eight years old. 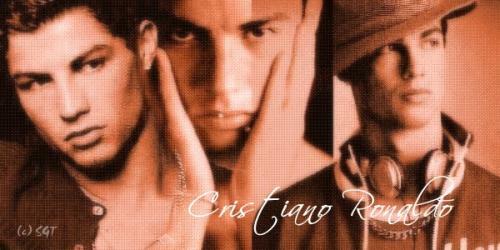 By 1995, at just ten years of age, Cristiano Ronaldo's reputation was growing in Portugal. Madeira's top two teams, CS Mart0069mo and CD Nacional were both interested in signing him. Mart0069mo, the bigger team, missed a crucial meeting with Rui Santos manager of Andorinha, and as a result Ronaldo signed for Nacional. 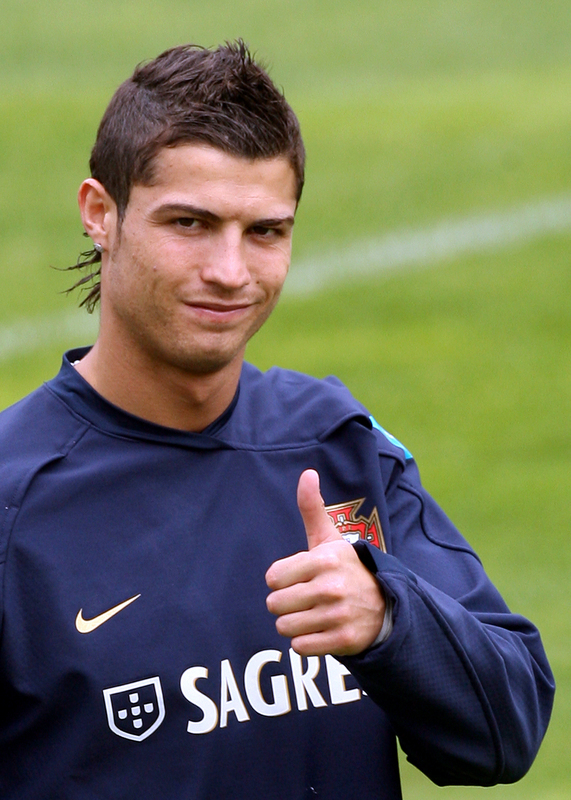 After a title-winning campaign at Nacional, Ronaldo went on a three day trial with Sporting who subsequently signed him for an undisclosed sum. Ronaldo joined Sporting's other youth players who trained at the Alcochete, the club's "football factory," where he received first-class instruction. Sporting realised that Ronaldo needed more support and arranged for his mother to join him. He made his debut for Sporting against Moreirense and scored two goals. 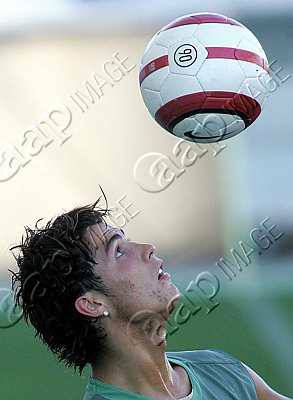 He also featured for Portugal in the UEFA Under 17 Championships. His performances at the UEFA Under 17 championship drew him to the attention of the wider football world. He was first spotted by former Liverpool F.C. manager Gr0061rd Houllier at the age of 16. However, Liverpool later declined him because he was too young and needed some time to develop into a top footballer. However he came to the attention of Sir Alex Ferguson in the summer of 2003, when Sporting Clube de Portugal beat Manchester United 3–1 in the inauguration of the Alvalade XXI stadium in Lisbon. Ronaldo demonstrated his ability to play on both wings. After the match, United's players spoke enthusiastically of the young talent that they had just played against, saying they would rather have him in their team than play against him in the future. 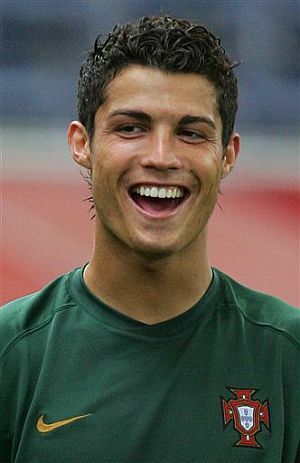 Ronaldo made his international debut in August 2003, against Kazakhstan. He scored Portugal's only goal in their 2–1 loss to Greece in the opening match of Euro 2004 and the first goal of the semi final against the Netherlands, which Portugal won 2–1. The final saw a rematch of the opening game of the tournament, and again, Greece emerged victorious. 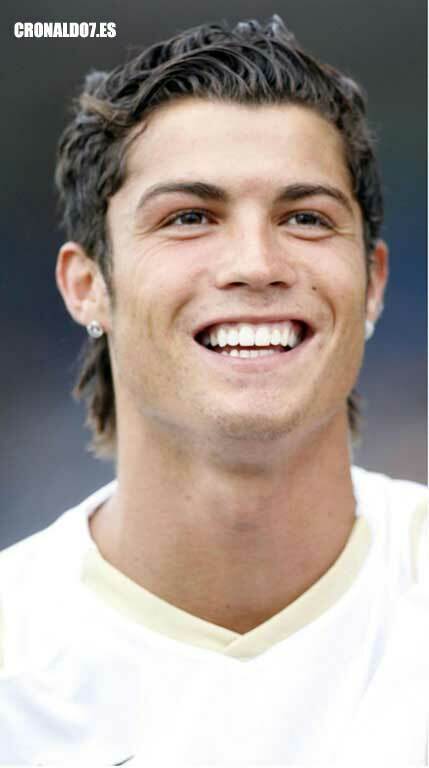 Ronaldo represented Portugal at the 2004 Summer Olympics, and was the second highest scorer in FIFA World Cup qualification in the European zone with 7 goals. As of 17 June 2005, he has scored 11 goals in 25 appearances for his country. 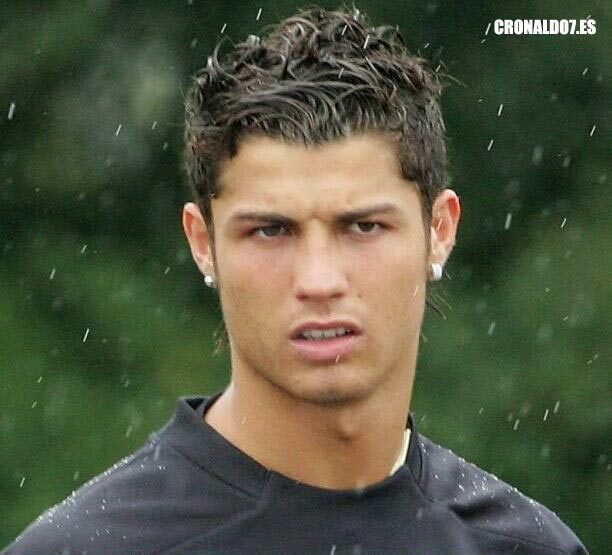 Ronaldo scored his first World Cup goal against Iran with a penalty kick. 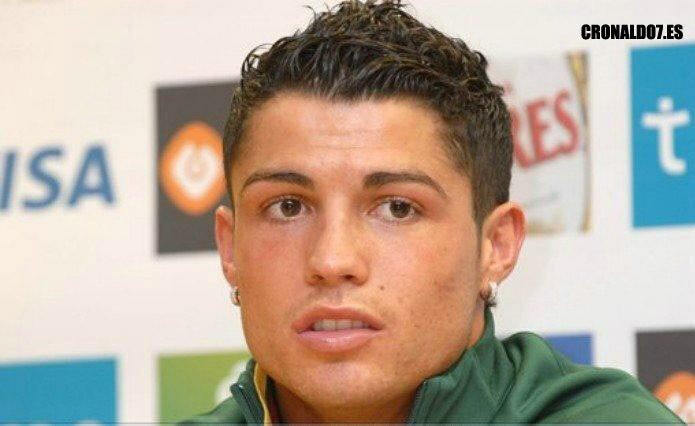 In the Round of 16, he left Portugal's 1-0 win over Netherlands injured after a high tackle by Khalid Boulahrouz. Ronaldo was named the national team captain for the first time in a friendly match against Brazil on February 6, 2007, a day after his 22nd birthday. This move was in honor of Carlos Silva, the Portuguese Football Federation president who had died two days before. Scolari explained, "Mr Silva asked me to make him captain as a gesture. He thought the English fans would give him a difficult time and this was a response. He is too young to be captain, but Mr Silva asked me, and now he is no longer with us. Ferguson decided that he wanted the youngster for his team, who were in the market for a right-sided midfielder with the departure of David Beckham to Real Madrid; Ronaldo was signed for a fee of 12.24 million. He made his debut for Manchester United as a 60th minute substitute against Bolton Wanderers at Old Trafford. United were then 1-0 up but with just minutes on the pitch, Ronaldo won a penalty, which Ruud van Nistelrooy saw saved by Jussi Jskeli006een. However, this did not affect the eventual outcome as the match ended in a 4-0 win to Manchester United. Ronaldo was handed the No. 7 shirt on his arrival, a shirt number that has belonged to some of the biggest Manchester United legends like George Best, Bryan Robson, Eric Cantona and David Beckham. Ronaldo initially asked for the number 28 which he wore at Sporting, as he did not want the pressure of living up to expectations with the number 7. He has played primarily as a winger for United and can play on either wing. In 2006, a row between him and Ruud van Nistelrooy at the Carrington training ground intensified speculation about their roles at the club. 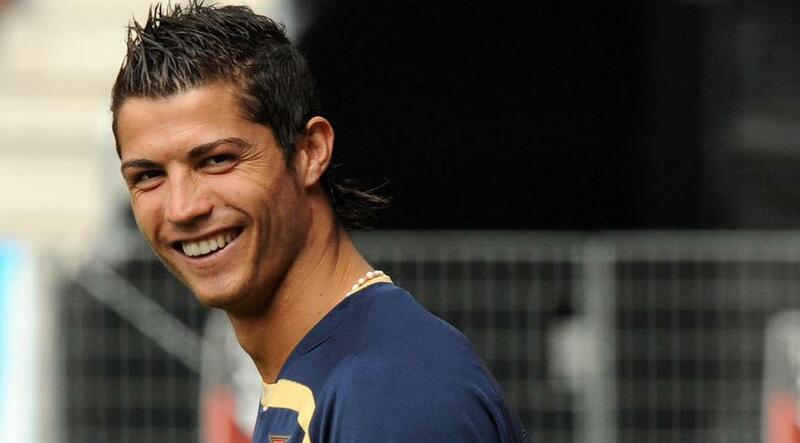 However, Ronaldo signed a new deal with United that would last through 2010. 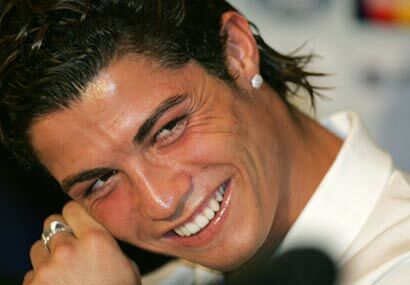 Ronaldo said of the deal, "United have stood by me and been there for me and I want to repay that." Ronaldo has occasionally had problems with his temper during games, he was sent off in a game against Manchester City and received a one-match ban imposed by UEFA for a "one-fingered gesture" towards Benfica fans in a UEFA Champions League match in December 2005. While playing for Portugal in a friendly against Luxembourg he was given a yellow card for pushing Jeff Strasser in the throat in retaliation after Strasser tackled him. Felipe Scolari warned Ronaldo to keep his temper in check during the World Cup. On 29 October 2005 Ronaldo scored Manchester United's 1000th Premiership goal, in a 4–1 loss at the hands of Middlesbrough. He bagged a double double in February, with two goals at home to Fulham and another pair at Fratton Park, and also scored in the following Premiership game against Wigan taking his tally to 8 Premiership goals. On 26 February 2006, Ronaldo played in the Carling Cup Final against Wigan in the Millennium Stadium at Cardiff, and scored a goal - taking his season's tally to 10 goals. 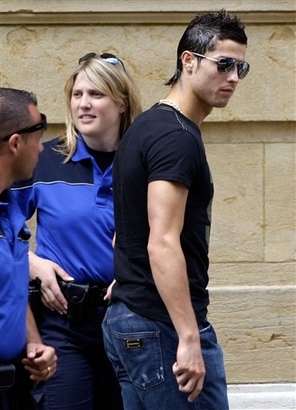 He was named FIFPro Special Young Player of the Year 2005, the only award to be voted for by fans. He received the same accolade the following year in 2006. He was also ranked 20th in the FIFA Player of the Year 2005 standings. Despite the World Cup incident, Ronaldo remained popular with the majority of Manchester United fans when he played (and scored) in his first Premiership match since the 2006 World Cup. Manchester United fans could clearly be heard chanting "there's only one Ronaldo" at various points in the game, in a 5-1 win over Fulham F.C. He won the Barclays Player of the Month for November 2006. During a match with Middlesbrough F.C, he was criticised for diving by rival manager Gareth Southgate. 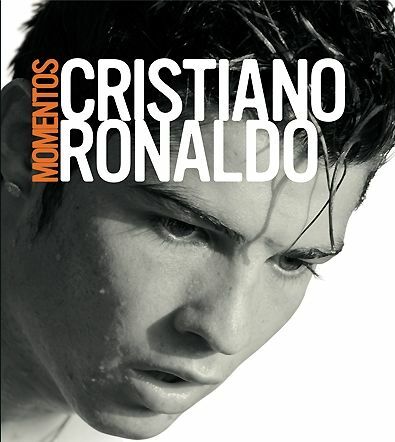 By December 2006, Ronaldo had become one of United's most influential players, scoring six goals in 3 league games to bring his overall tally up to 12 goals. He came on at half-time as a substitute against Wigan Athletic and immediately stamped his influence on the match with 2 goals in the space of a few minutes. Manchester United manager Sir Alex Ferguson concedes he would lose his wager with the Portuguese in his current form after setting a target of 15 goals for the season. The Scot remarked that he was "pleased for him because he works hard at his game. He's still learning the game. His ability to pass the ball has helped him this season. His passing has been very good. That just shows he is maturing. He's been fantastic, and he's getting better all the time." In December, he was awarded the Barclays Player of the Month Award for the second successive month, becoming the third ever player in the Premiership to do so (after Arsenal's Dennis Bergkamp in 1997 and Robbie Fowler in 1996). 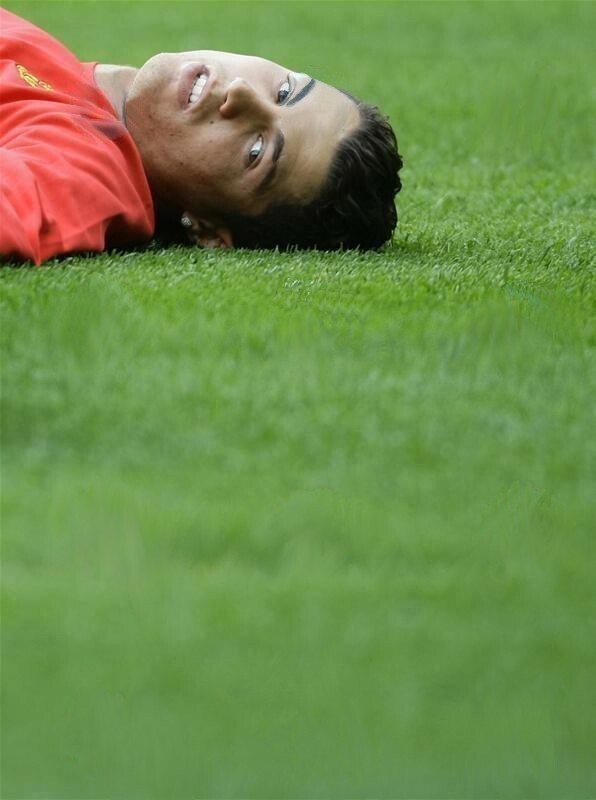 On February 4, 2007 in a match against Tottenham Hotspur F.C., Ronaldo was caught in yet another diving controversy, after winning United a controversial penalty despite seeming to receive little or no contact from Tottenham's Steed Malbranque. 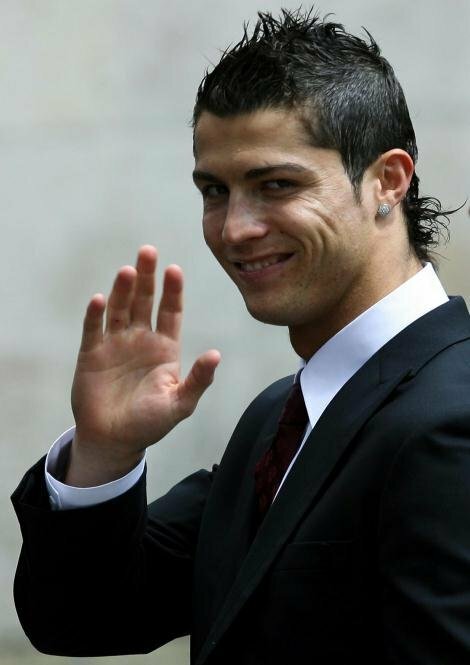 As the end of each season approached, particularly in 2006 and 2007, it became traditional for rumours to start floating that Ronaldo was unsettled at Manchester United and wanted to play for Real Madrid - the rumours frequently originating from the board of Real Madrid who were reported in April 2007 to be willing to pay an unprecedented €80 million (54 million) for Ronaldo. 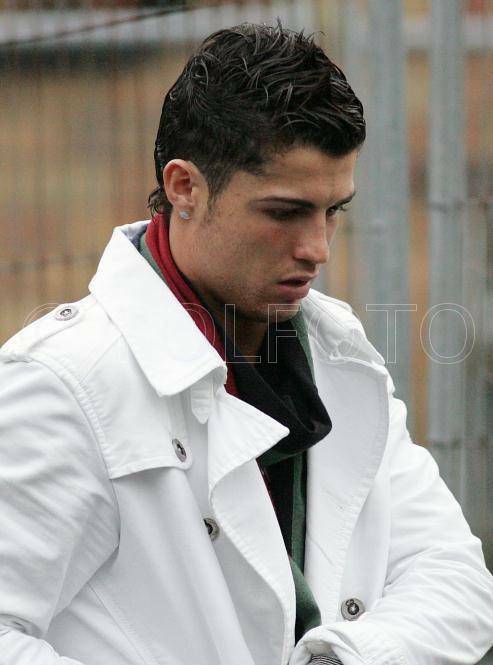 At the beginning of March 2007 however, Ronaldo, as well as Manchester United, confirmed that they would be negotiating an extension to his current contract. 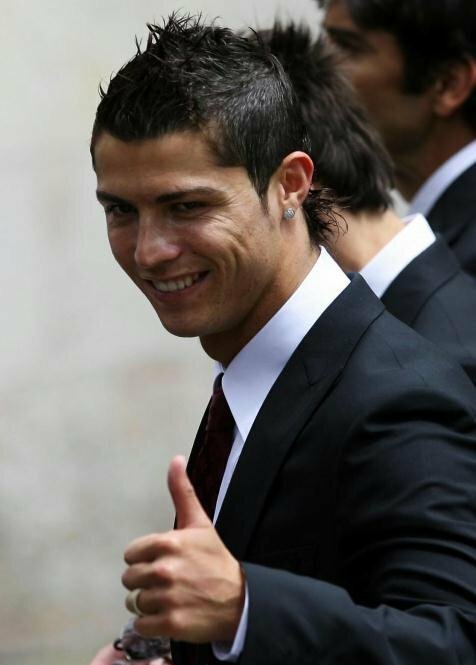 On 13 April 2007, Ronaldo signed a five-year, 120,000-a-week deal with United, making him the highest-paid player in United's history. 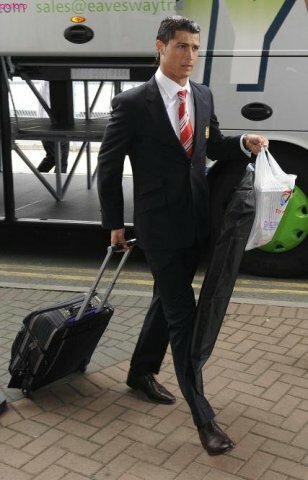 He said, "I am very happy at the club and I want to win trophies and hopefully we will do that this season." During the 2006-07 season, Ronaldo won the PFA Players' Player of the Year and PFA Young Player of the Year awards. He received the two awards during a ceremony on the 22nd of April, 2007. In addition to winning the two awards (an accomplishment that has only been matched once - in 1977 by Andy Gray), Ronaldo was also named a member of the PFA Premiership Team of the Year, alongside seven of his fellow Manchester United teammates. On 24 April 2007, Ronaldo completed the treble by winning the PFA Fans' Player of the Year, an award which is given by winning the most votes from fans all over the United Kingdom. In addition, he was awarded the 2007 Portuguese Footballer of the Year, and at the beginning of May 2007 Ronaldo was also awarded the Football Writers' Association Award. He also received two awards from the club itself, the Player of the Year award, and the Fans' Player of the Year award. Ronaldo scored his 50th goal for Manchester United in the game against arch-rivals Manchester City which turned out to be the decisive goal which helped Manchester United claim the Premiership for the first time in 4 years.